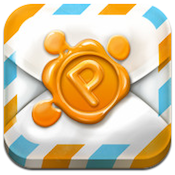 PuXXles iPhone App Review: Deliver Secret Messages! PuXXles is an iPhone app developed by Nikita Spitsyn. This social networking app allows users to send encrypted messages to their friends. Each secret message can take the form of jigsaw puzzles, text riddles, and more. 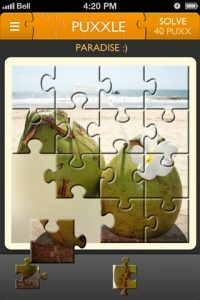 You can make a puzzle using any picture, and then hide a “hidden” picture message within it. 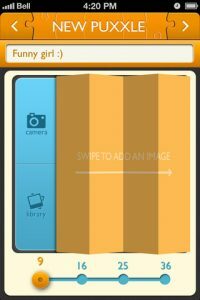 Some of the suggested uses for this app are sending love notes, sharing gossip, revealing a big image change like a hair cut or weight loss, or inviting someone out on a date. Best of all, you can stay totally anonymous. Actually, one of the best features of PuXXles is the great array of privacy settings: unlike a lot of other social networking services, you have a robust, varied set of privacy settings to choose from. It’s really easy to block users and ensure that you get PuXXles from only the people you want to be in contact with. Each message sent is encrypted via a riddle or puzzle. The only way to see it is to solve the riddle or assemble the puzzle. You can sign in with your Facebook account, create a new PuXXles account from within the app, or sign in with VK. Puxxlers can hang on to their favorite messages that they have received in their albums, or even share their PuXXles in a world gallery where they can be seen publicly. You aren’t limited to just sharing secrets: you can also use PuXXles to but a fun new twist on you daily status updates. Even the mundane becomes compelling when its placed under a veneer of secrecy with PuXXles. If you want a new social networking app, definitely give PuXXles a try! PuXXlesis compatible with iPhone 3GS, iPhone 4, iPhone 4S, iPhone 5, iPod touch (3rd generation), iPod touch (4th generation), iPod touch (5th generation) and iPad. Requires iOS 4.3 or later.